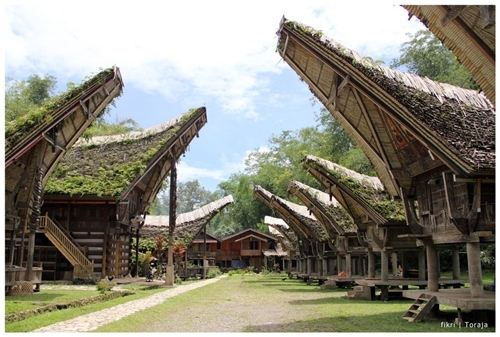 Tana Toraja is one place in Indonesia which still practices strong elements of their culture in everyday life. Tana Toraja has a unique culture set in stunning scenery. Once you venture away from the tarmac roads you will find soon a way of life that has not changed much in the last 100 years. Tana Toraja Regency is a regency of South Sulawesi, Indonesia, home of the Toraja. 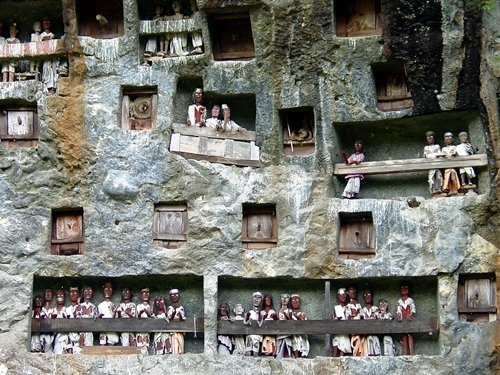 The Toraja are an ethnic indigenous people. The local government seat is in Makale, where the center of Toraja culture is in Rantepao. The residents in Tana Toraja are predominantly Christian, while the rest are Catholic, Silam and Aluktodolo. Aluktodoloo are the animist & ancestral beliefs of the Toraja people. Tana Toraja is a sleepy rural region which cultivates rice, cacao, coffee, and clove most of the year. Toraja’s arabica coffee carries a high reputation and is something that visitors may be interested in trying. From June until September, when children are home from school, the rice is harvested and it’s time for a “rambu solo”, which is a complex funeral ceremony for the ancestors. During the time, Rantepao is transformed into a major tourist resort for national and international visitors. Tana Toraja’s beauty is also reflected in its people. Although they are devoutly Christian ( there are small number of Moslems especially in the southern area), they combine this religious belief with magic and mysticism, and welcome visitors to witness their ceremonies. The land of the Toraja people, is famed for their spectacular and rather gruesome burial rites. After a person’s death, the body is kept — often for several years — while money is saved to pay for the actual funeral ceremony, known as tomate. During the festival, which may last up to a week, ritual dances and buffalo fights are held, and buffaloes and pigs are slaughtered to ferry the soul of the deceased to the afterlife puya. The deceased is then finally buried either in a small cave, often with a tau-taue effigy placed in front, inside a hollow tree or even left exposed to the elements in a bamboo frame hanging from a cliff. 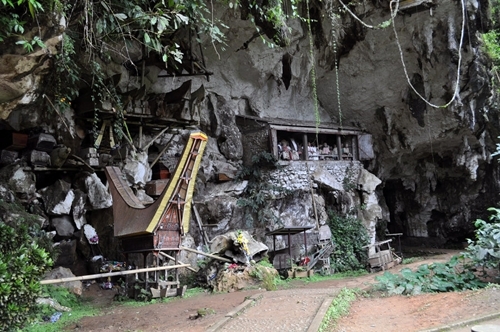 In Tana Toraja, you can see the Lemo cemetery which is the home of the spirits. The dead bodies are stored in the open air among the steep rocks. The cemetery here are a blend of death, art and ritual. At certain times the clothes of the dead bodies will be replaced with a ceremony called Ma Nene. In addition you can also visit Londa, the funeral that is placed on the rock hill. In the cave in the rock hill are crates of dead bodies that are placed there according to his family tree. You are allowed to see a funeral from a close distance. There are also special children’s funerals that are placed in a trunk in Sangala, because the local people believe that a child or baby must be buried in the trunk. Traditional Tongkonan houses stand proudly in this setting. These intricately decorated houses with upward-sloping roofs are the center of all Aluktodolo rites ( Torajan religion before the coming of the missionaries ); from storing the harvest in the carved rice barns “alang”, to slaughtering sacred water buffaloes at a week or more-funeral ceremonies. The traditional house Tongkonan in Pallawa is a traditional home that has a unique shape located among bamboo trees on a hilltop. 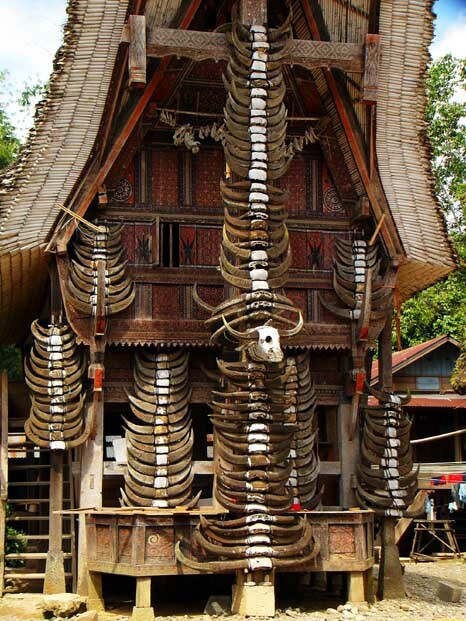 The Tongkonan traditional house is decorated with buffalo horns that are placed in front of the house. 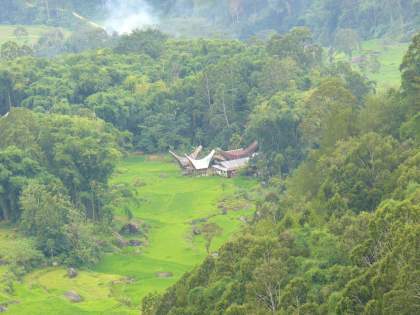 You can also visit Batutumongo, which is located on the slopes of Mount Sesean, the highest mountain in Tana Toraja. From here you can see the beauty of Tana Toraja from the top of a mountain. Then you can continue the journey to the Bori area which is a megalithic tourism place. 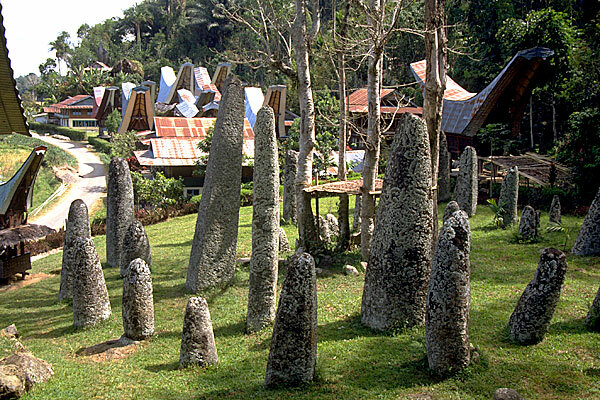 In Bori, you can see a cemetery which stands above megalithic stone called “Batu Menhir” or menhir stone in English. The total number of stones here consist of 24 large pieces, 24 medium and 54 small size pieces. The size of the menhir stone is not an issue because traditionally they have the same value and prestige. Each menhir stone made on certain burial ceremonies at a certain level are held for the community leader. Not every burial ceremony will have a menhir stone. Only those who made the level ‘Rapasan Sapurandan’ are able to have menhir stone for their burial ceremony where 24 heads of buffaloes are also cut off. The uniqueness of the menhir stone in Bori makes it a very popular place to visit as the tradition of manufacturing menhir stone is hundreds of years old. Thus making Bori a popular ancient tourist place to visit. To get to this place you can travel by a car which will take about 8 hours from Makassar, the capital of South Sulawesi, Indonesia. Or to get there faster, you can hop on a plane from Hassanudin airport which will take about 45 minutes. I have provided you with a glimpse of cultural tourism in Tana Taraja, Indonesia. This article fails to describe the wealth of experience you would gain from visiting Tana Toraja. So what are you waiting for, book your next holiday to Indonesia and visit this marvellous place. If you want to make the ultimate surfing trip where there’s plenty of surf, then look no other further than the Mentawai Islands in Indonesia. Indonesia offers the ultimate in surf travel adventures. First time surf travelers to Indonesia sent back reports of impossibly perfect crystal tubes, white sand beaches fringed with palm trees, warm weather and brilliant sunshine, and local people who were friendly and hospitable. It wasn’t just a surfing experience, it was paradise. The Mentawai Islands are located 130km off the west coast of Western Sumatra, the island chain offers some of the best surf to be found anywhere in the world. It’s also right in the middle of the Hindia Ocean so that is why this island is surrounded by wide and beautiful ocean. There are 4 main Islands that make up the archipelago, including the island of South Pagai, Sipora island, island of Siberut, and North Pagai Island. 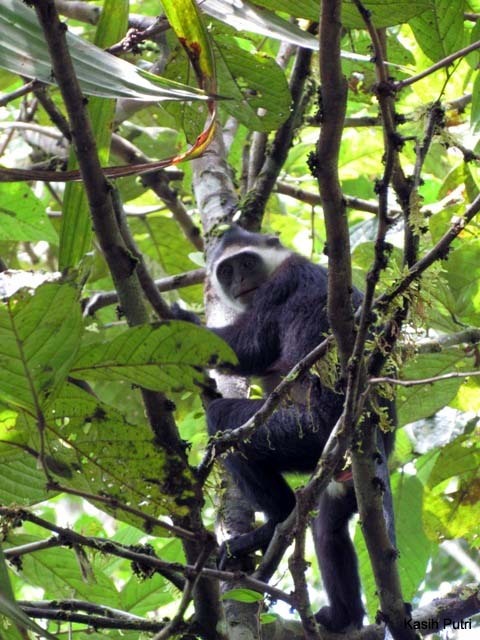 Among the four islands, the island of Siberut is the largest island. Mentawai Islands is everything you consider exotic from it’s surfing spots, indigenous cultural experiences and untouched natural scenary. 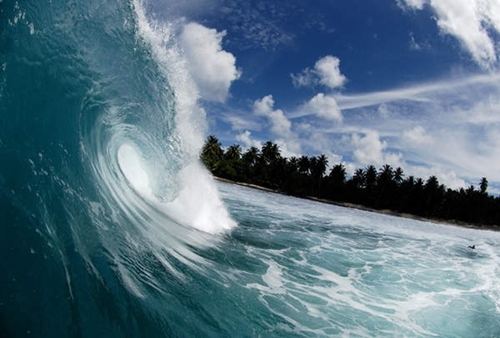 Some of the best places to surf at the Mentawai Islands are Nyangnyang, Botik, Coral corpse, Mainuk, and Masilok. The tourist peak times are usually in July and August. 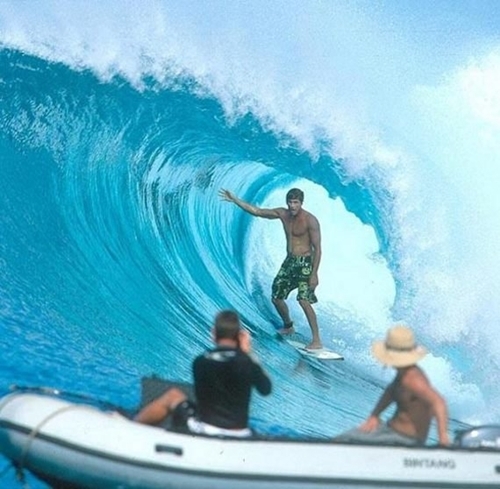 During those months, the waves at the Mentawai Islands are very high reaching about 7 meters. 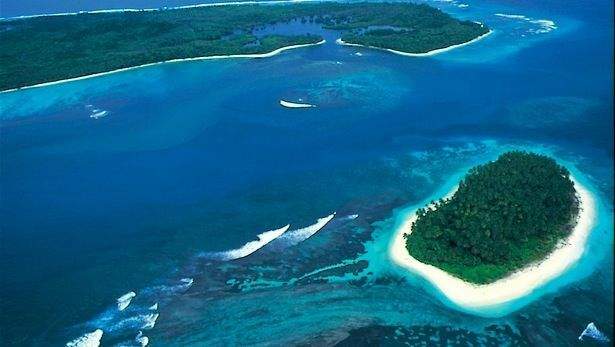 The Mentawai islands are even very popular for surf competitions that are held at international level. One of the reasons why travelers love to surf here is because the point surf is less than 400 points. The waves also vary, from moderate to extreme. There are other activities that can be carried out when you visit the Mentawai islands. You can also go trekking around of the island. The island is relatively unspoiled, so you will see beautiful and dense tropical forest scenery. You can also hang out with the natives there, and learn about their lifestyle. They live a very natural distinctive tribal lifestyle that does not have much interference from modern infrastructure and life. Many different cultures exist on the Mentawai Islands. The indigenous people here are not familiar with modern farming methods or even the manufacturing of metal, so it still looks like they live in the first Neolithic era. 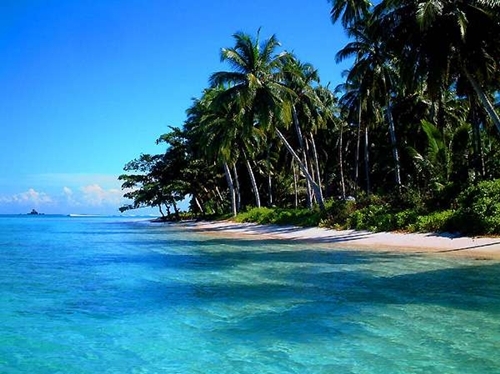 The area is inhabited by a majority of the Mentawai tribe, which is approximately 30 thousand inhabitants. They mostly come from the island of Siberut. Each family consists on average of about 5 to 15 people, and they live in the village or in the forest where they work. The presence of foreign tourists is felt on the Mentawai islands by the existence of several luxury resorts, especially around the coast. If you want an exclusive tour, you can stay at one of the resorts. So while surfing, you can relax in one of the luxury lodges. Various organizations state that the surfing waves at Mentawai are the third best in the World after the waves in Hawaii and Tahiti. Due to the high degree of it’s natural environment, Siberut in the Mentawai Islands are included in the list of world biosphere reserves by the UNESCO organization. This island is worth being protected, especially since there are 4 primates endemic to this island, the pig-tailed monkey (Simias concolor), Joja or Mentawai langur (Presbytis potenziani), dwarf siamang (Hylobates klosii), and the Mentawai monkey (Macaca pagensis). Well, I hope I’ve given you a glimpse into the true beauty of visiting the Mentawai Islands in West Sumatra, Indonesia. Without a doubt, it’ll be a lifelong experience.